Membrane cleaning solutions for nano-filtration water desalination. By Genesys International Limited based in Middlewich, UNITED KINGDOM. AQQA is the ideal system to act as a prefiltration for Reverse Osmosis desalination systems. It is installed directly after the intake from the ocean. By taking out particles > 0,1 µm, the sensitive R.O. membranes can be protected and work much more reliable with a higher output. By Weise Water GmbH based in Hennigsdorf, GERMANY. In desalination plants it is of great importance for the operation of the entire plant that the pre-treatment of the water is good before the salt is to be removed. 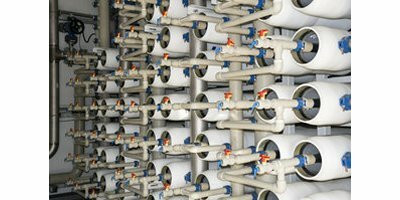 For reverse osmosis (RO) desalination plants a good pre-treatment is essential for avoiding membrane fouling, resulting in reduced water production and increased operational costs. By Filtralite - Leca Norge As based in Alnabru, NORWAY.